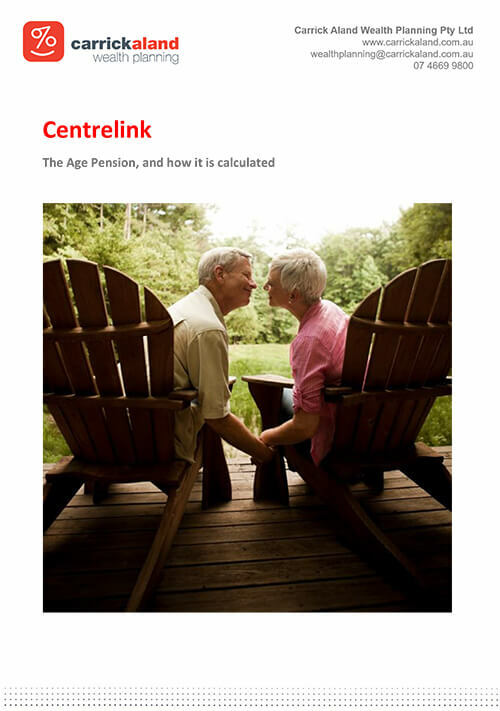 Many people in retirement live on a mix of their savings and the government age pension. The age pension is paid to people who meet age and residency requirements. The rate you receive depends on the level of your income and assets. We will review your current situation to determine what Centrelink support you are entitled to, or maximise those you may already be receiving. Provide support and assistance in applying for and maintaining your Centrelink entitlement. Manage Centrelink correspondence and respond to requests for information on your behalf. Click to download a free copy of our Centrelink flier to find out more about the income and assets test used to assess eligibility, and the Commonwealth Seniors Health Card. If you would like to discuss your eligibility to receive the age pension, please contact us for a free no-obligation consultation.